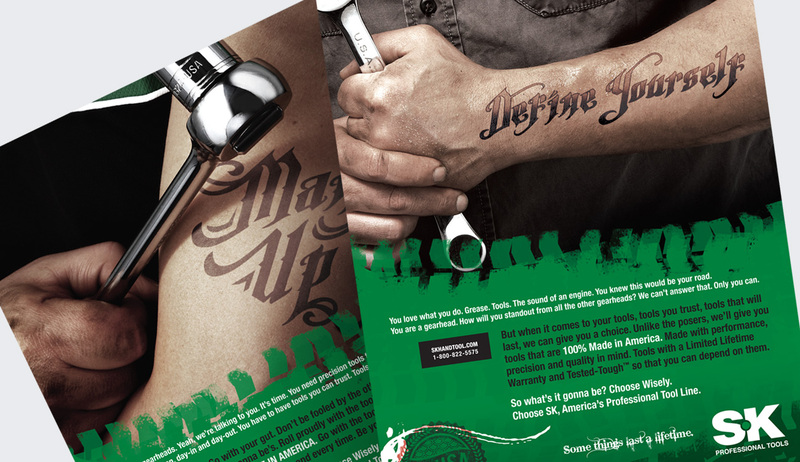 SK® Hand Tool asked us to come up with an ad campaign that appeals to vocational technicians. 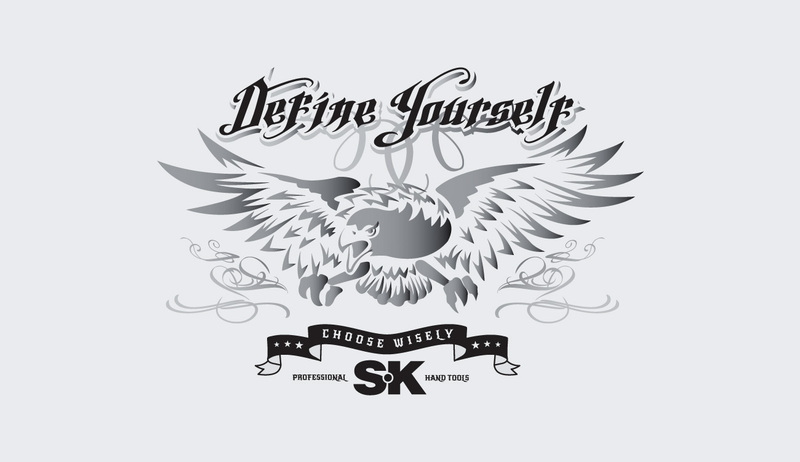 After hours and HOURS of brainstorming, we came up with the tattoo concept for “Choose Wisely”. 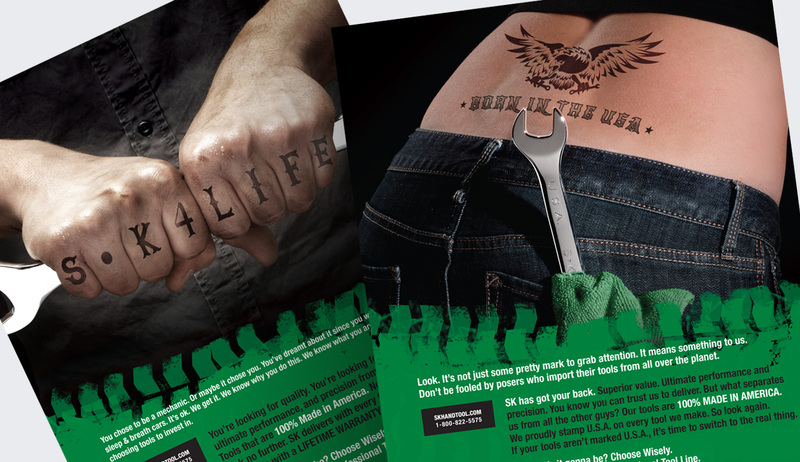 We got down and dirty with the look… a look that screams gearhead.